Rifleman to Artilleryman Carrying his duffle bag and trusty M1 Garand Rifle, Private Bernard Katz arrived in South Korea in January 1951, and, man was it frigid. His immediate concern was getting frost bite. Despite being an infantry rifleman, and since artillery soldiers were in high demand, Bernie was assigned to a 105 Howitzer and Rocket Launcher unit with the 2nd Field Artillery Battery. 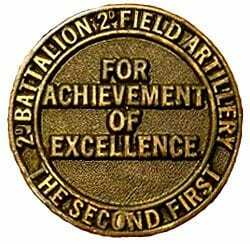 Having no artillery training whatsoever, it was on-the-job-training (OJT). Bernie became a shell loader and was promptly nicknamed “Kitty Kat.” In time, he learned all aspects of loading, firing and relocating 105s and rocket launchers. “In the combat zone, everyone had to learn each other’s job,” Bernie said. Fire and Smoke Bernie recalled that they were constantly moving their guns to always position themselves close behind their infantry troopers at the front line, and there were times they had to pull back due to fierce combat up front. Often, Bernie’s artillery teams were firing fast and furious as enemy artillery shells blasted in causing much damage, injuries and chaos. Once they had to retreat so fast that several 105 Howitzers were abandoned. It was brutal with fellow soldiers wounded and dying and fires and smoke everywhere, Bernie said. During one such melee, Bernie caught shrapnel in his left leg earning him a Purple Heart. Smoke inhalation was a major hazard and their battle field conditions were meager; very little gear, no ear plugs, no flak jackets, and living on C-Rations. The Forgotten War By May 1951, the communists were pushed back to the 38th parallel. That battle line remained in that vicinity until the war ended July 27, 1953, after two years of brutal combat and negotiations. After 36,516 U.S. troops were killed in action, 4,579 missing in action and 103,284 wounded in action, the Korean War, known as “The Forgotten War,” finally ended. Considering what’s happening now, President Harry Truman perhaps should have unleashed General Douglas MacArthur to end things right then and there. Bernie served 14 months in Korea and then returned to his father’s home following his Honorable Discharge Jan. 31, 1953. Newhall’s Senior Center Phyllis was attractive with a great outgoing personality and they were constantly going out dancing, dinners out and to the movies with several other couples. Things were going great, which led Bernie to propose. A year later they were married on Oct. 24, 1954. Bernie and Phyllis had a wonderful son and a loving daughter. Tragically, however, Phyllis became ill with complications from diabetes and at age 61 she passed away Feb. 5, 1995. A heartbroken Bernie soon moved to Camarillo to live with a friend until his daughter wanted him closer to her so in 2003. As a result, Bernie moved to Valley Oaks Village in Newhall for several years. Soon, Bernie began visiting our Santa Clarita Valley Senior Center in Newhall which literally changed and brightened his life for it was there that he met Dorothy Gates. They just happened to sit at the same table one evening and they hit it off beautifully and began seeing each other. Later on, Bernie casually mentioned marriage and she thought that was a good idea so they tied the knot April 8, 2006 at Valley Oaks Village. A year later, Bernie and Dorothy moved to Friendly Valley where they live to this day. They thoroughly enjoy visiting with their six grandchildren and four great grandchildren as often as possible. WII Bowling Bernie has been retired many years now but he stays very active with the Senior Center as their Veterans Club Chairperson and he’s their Bowling WII Coach. Besides having Dorothy at his side, the senior center is his passion in life. Bernie also enjoys Santa Clarita’s myriad Veteran ceremonies and our Independence Day Parade. And hey, if you’d like to say hello to Dorothy, she’s a part time receptionist at City Hall. Bernie’s military awards are Purple Heart, Bronze Star w/Unit Citation, Korean Service Medal, National Defense Medal, Good Conduct Medal, and United Nations Ribbon. Bernard Katz remains very proud of his military service and at age 85 he’s as tough as ever.